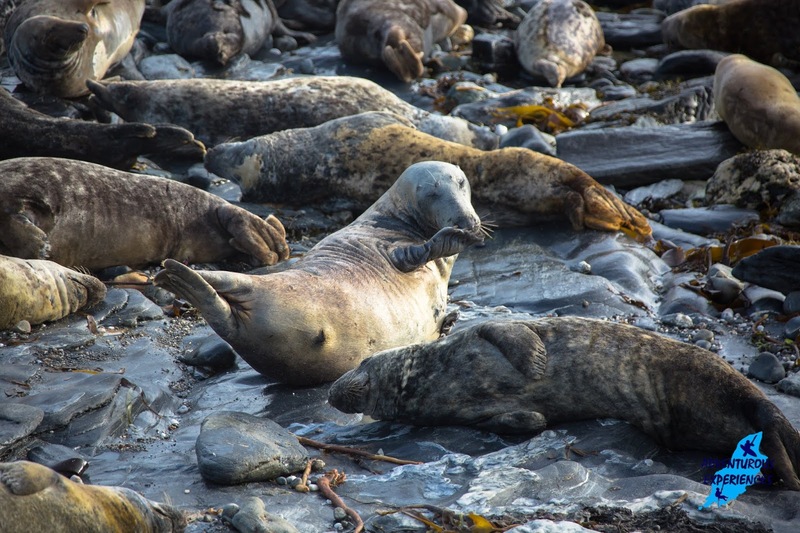 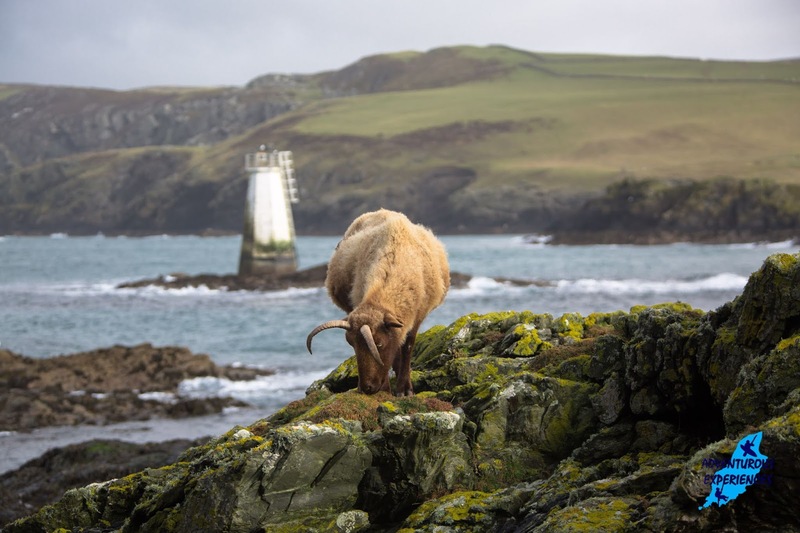 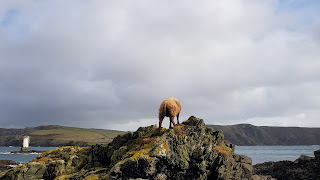 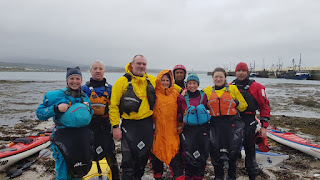 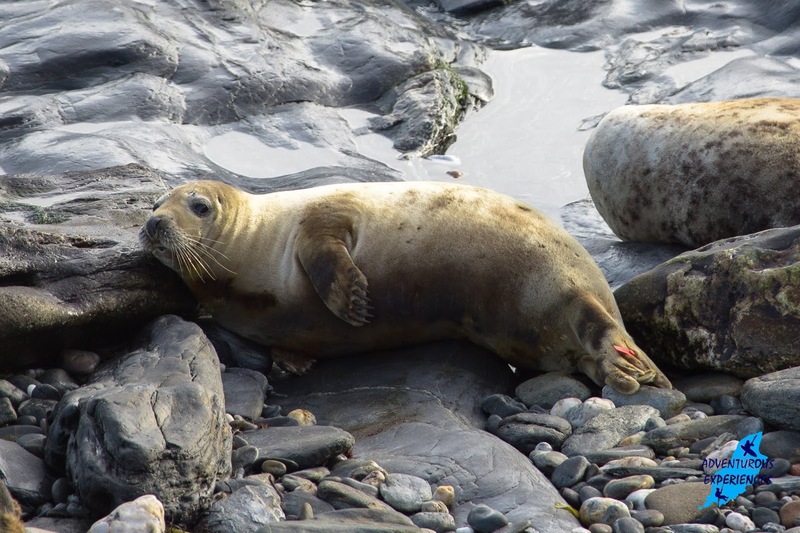 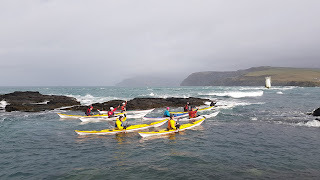 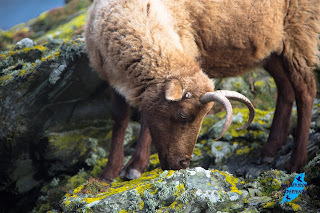 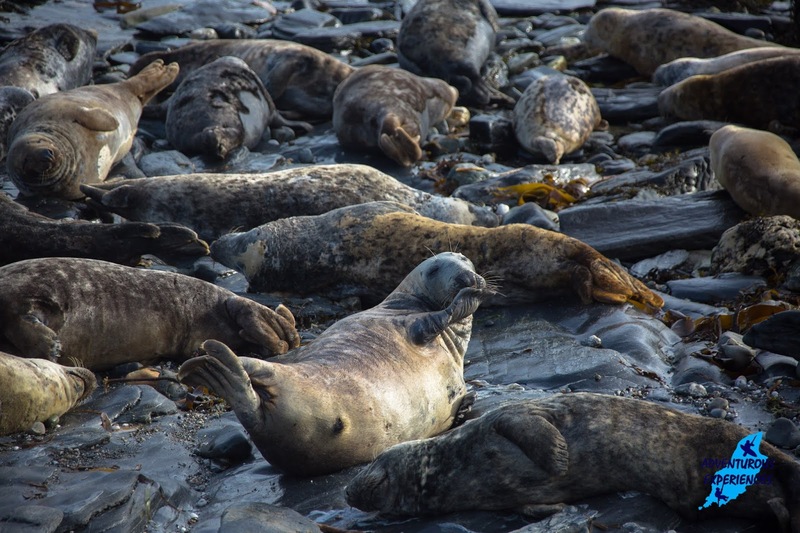 "Just back from our Adventure Club IOM sunday morning training around the Calf of Man! 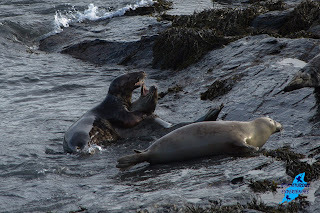 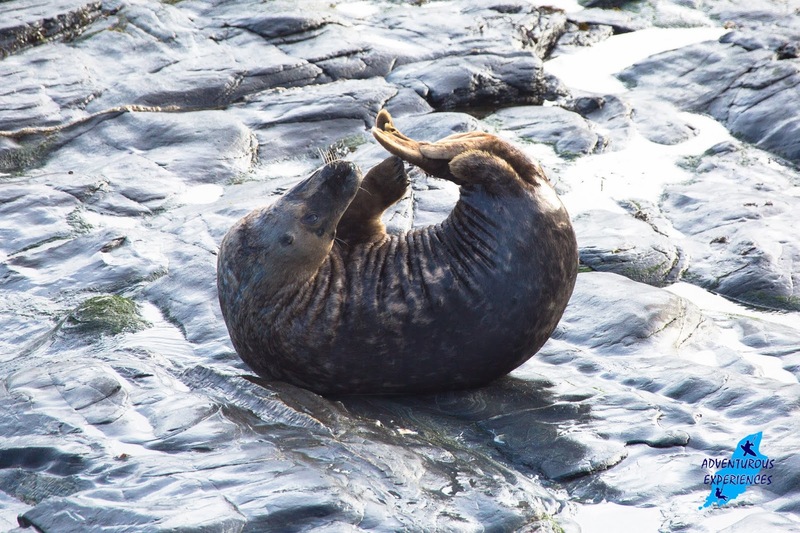 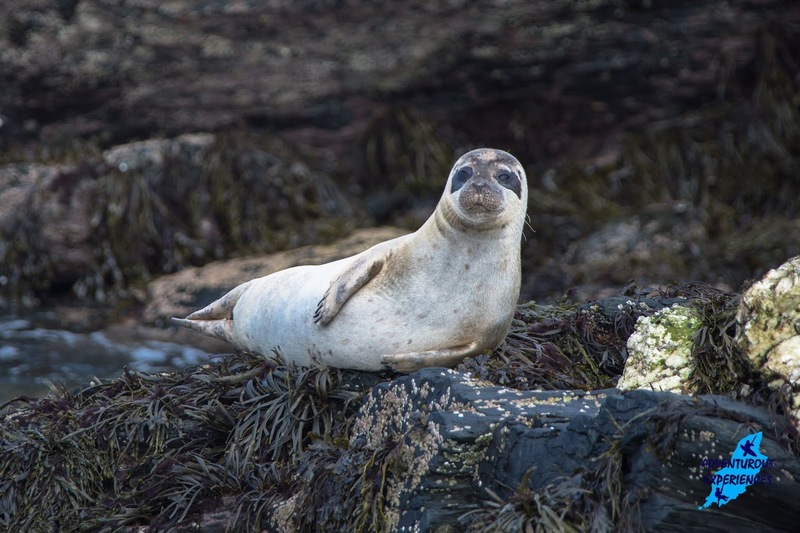 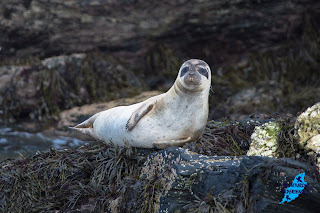 A challenging session, finishing in bright sunshine, loads of playful seals around us in the waves and foam 😊spring blossom, wrestling seals and a Manx Loaghtan (our native breed of hardy sheep) nibbling on a coastal delicacy : ) "
The awesome Calf of man is owned by Manx National Trust and is home to a flock of our native Manx Loaghtan (4 horned) sheep, diverse colonies of Atlantic Grey and 'Common' or Harbour Seals, and is a protected bird sanctuary and observatory. 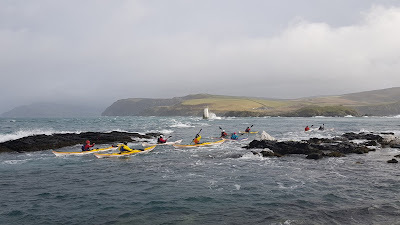 Really positive to see skills developing in the bouncy stuff, and folk embrace the challenge of winter paddling, in all its many forms! 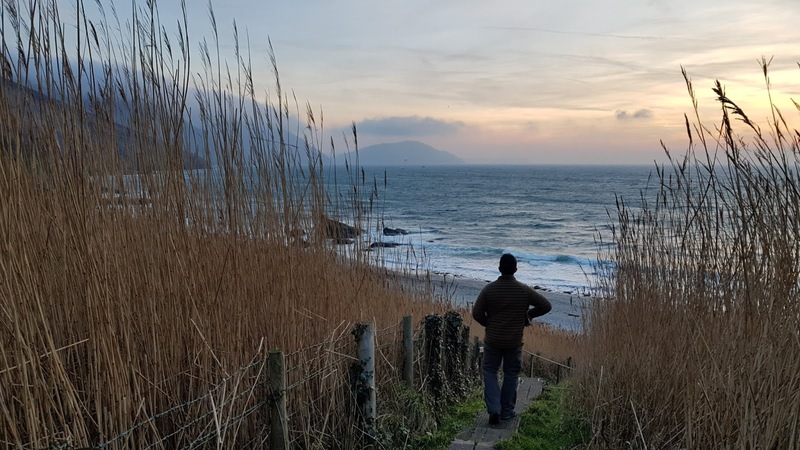 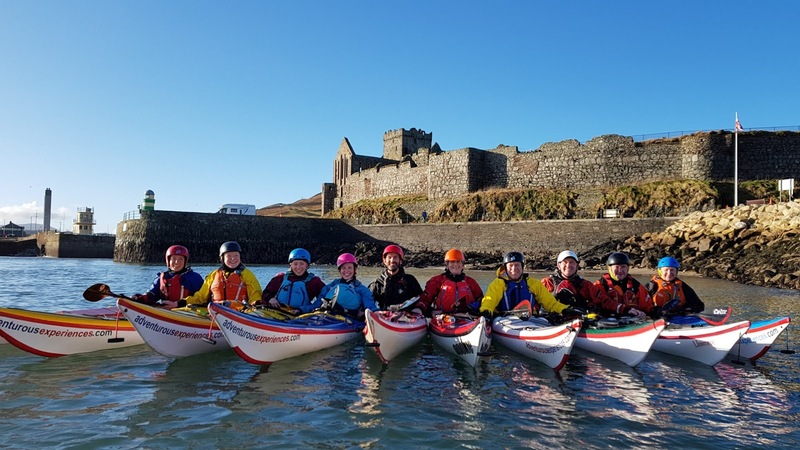 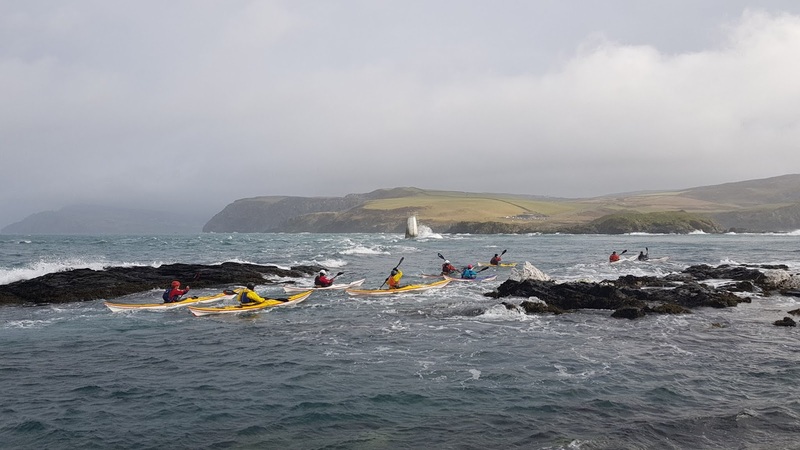 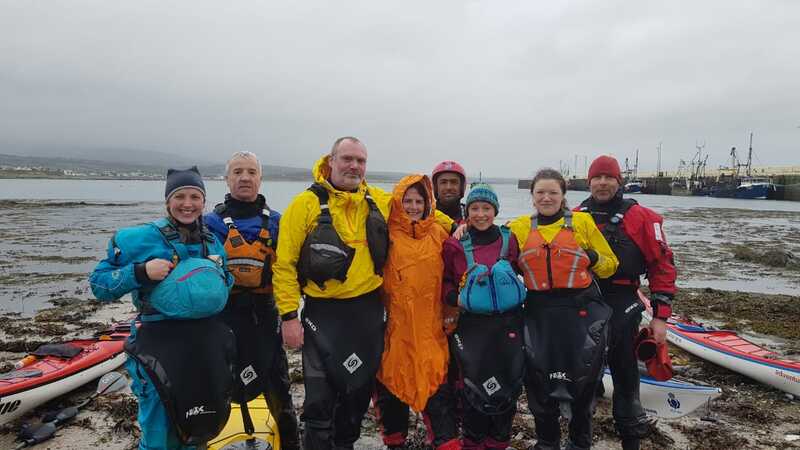 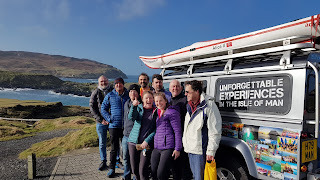 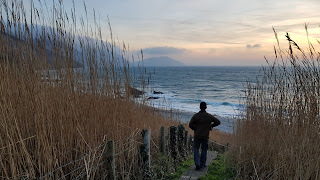 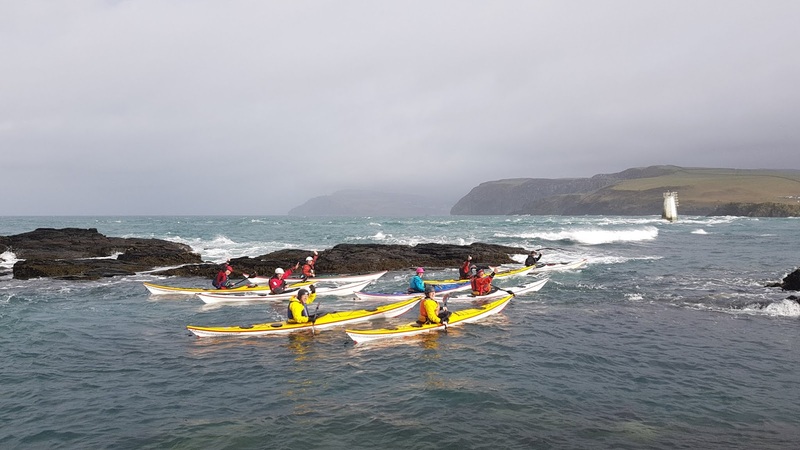 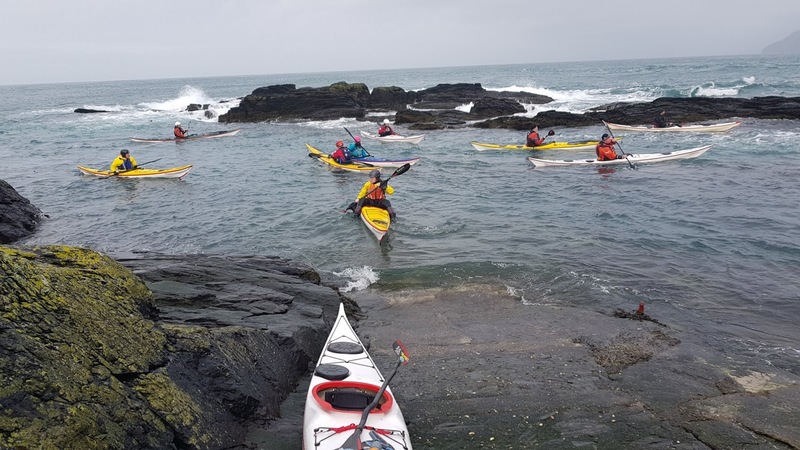 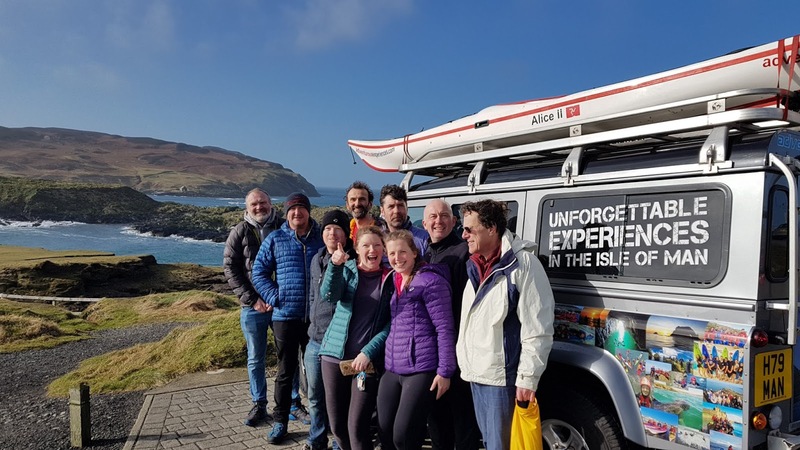 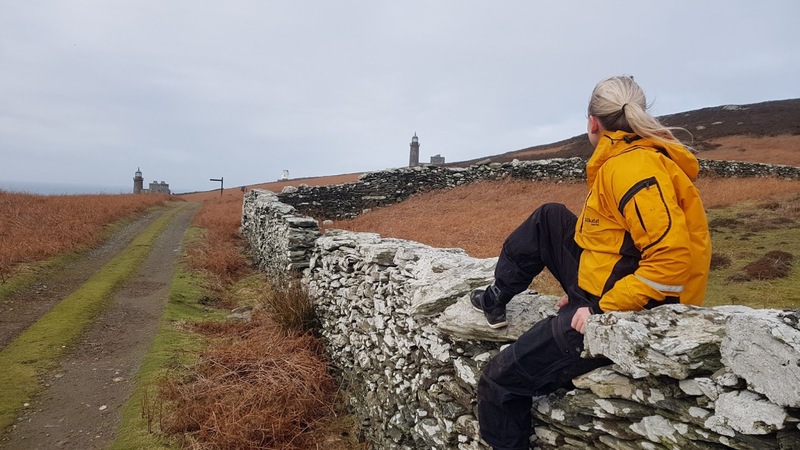 🌊💪#AdventureClub #isleofman #seakayaking#seakayakinguk #coachingpeople #safety#changingperspectives #coaching#safefunlearning #kayak #islandlife #getwet#beactive #loveiom #IOMstory #peelcastle#manxnationalheritage #winter #february#sunday "
"Heading back home to the Isle of Man tomorrow 😊 finished our last day in the mountains with a lead up 'Hidden Chimney' and a gusty walk off before the real weather came in 👍🌨 photo's @jimgayler It's been another immense trip! 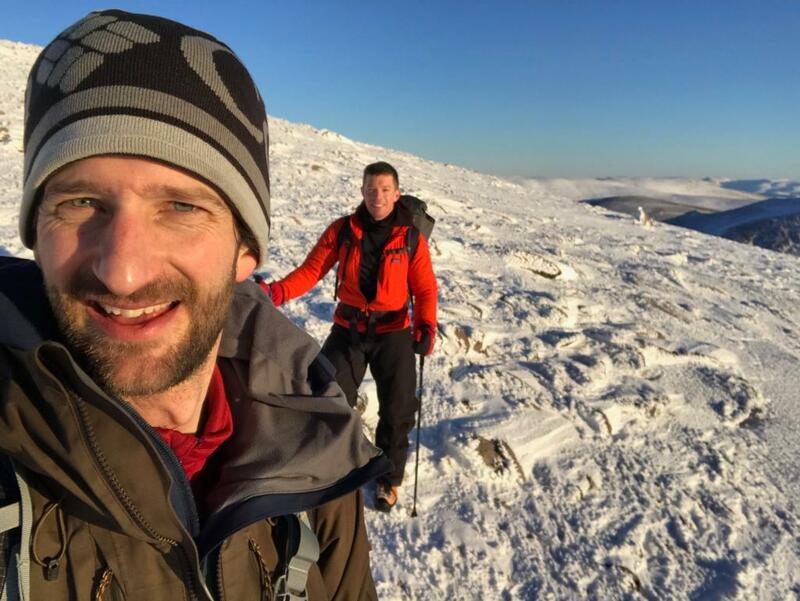 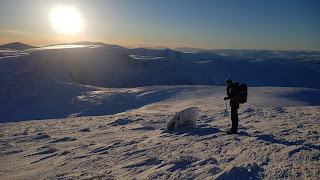 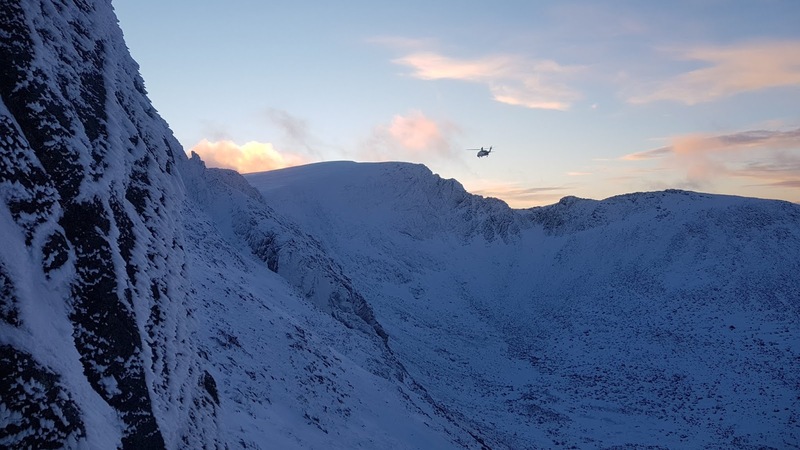 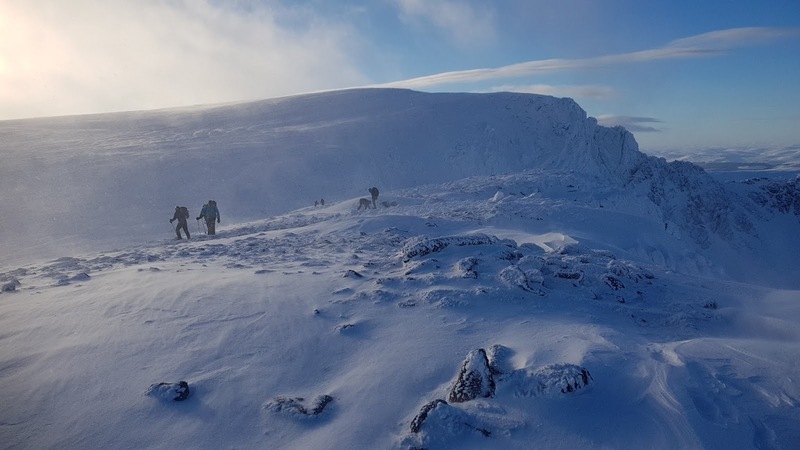 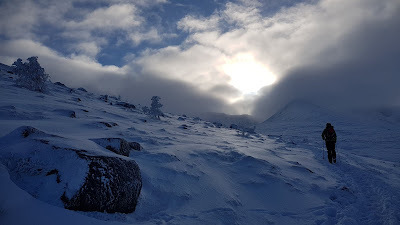 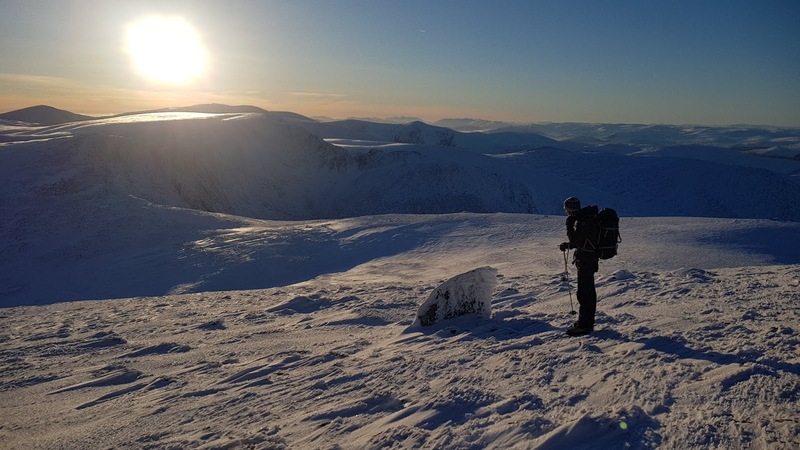 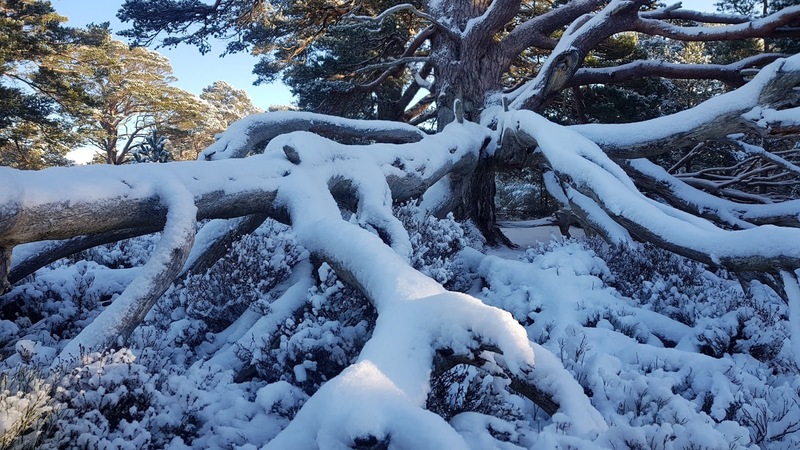 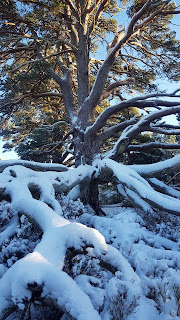 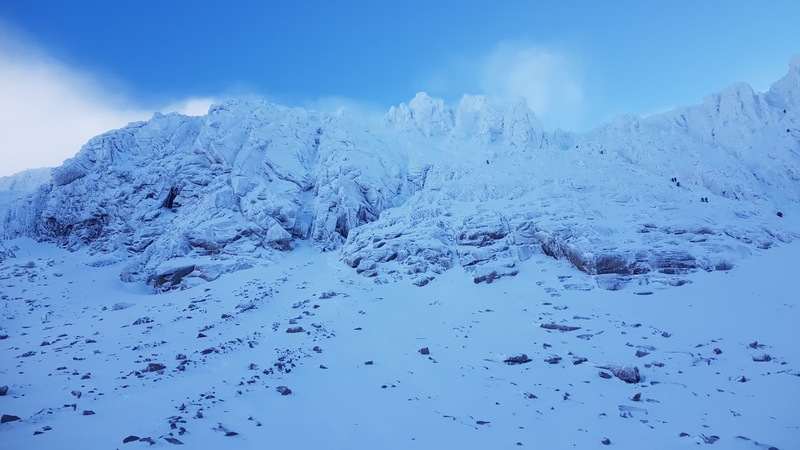 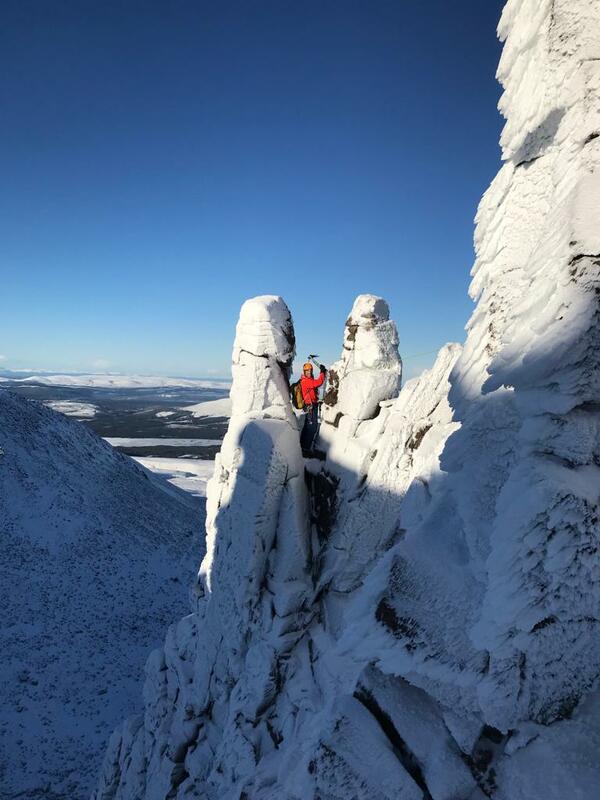 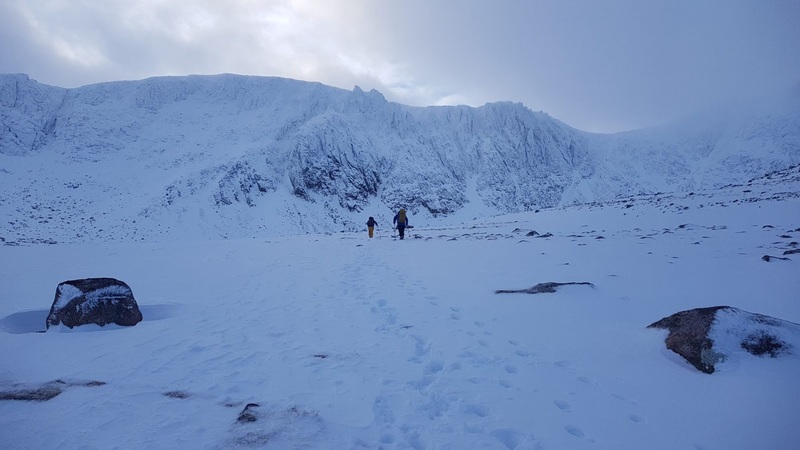 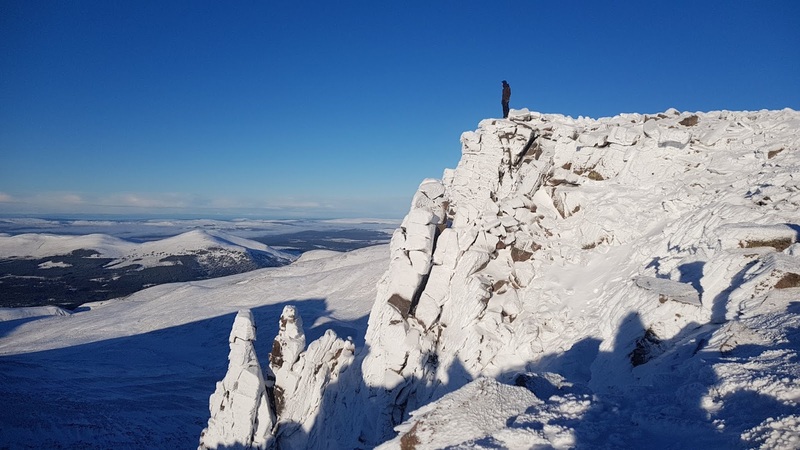 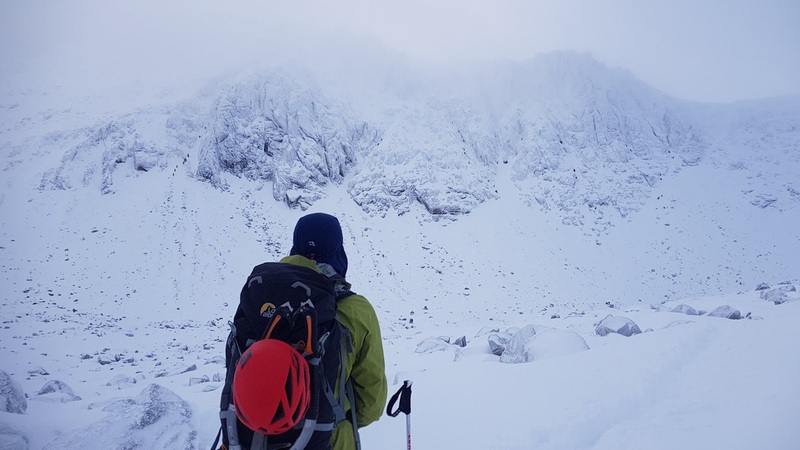 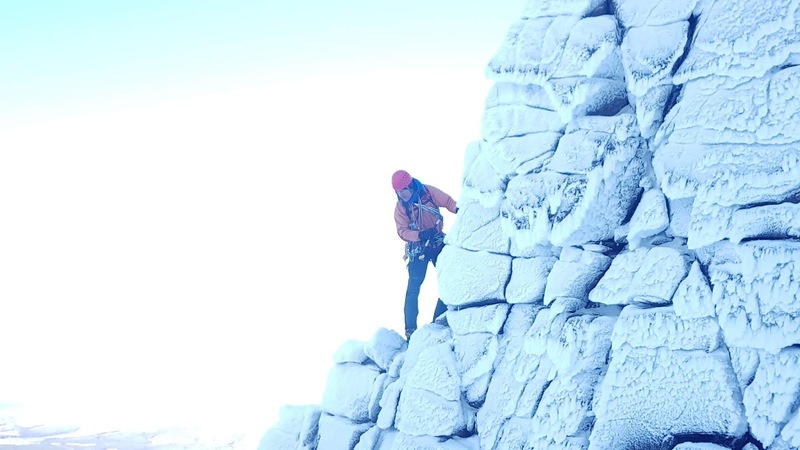 ..#winterclimbing #leading #last #day#mountains#learning #nohotaches #climbing#ptarmagon #blackgrouse #winter#cairngorms #coireantsneachda #snow#thin #ice #cold #magnificent #scotland#aviemore #neveatlast"
The first day of our winter climbing trip, climbed 'The Message' with too much ice in the cracks! 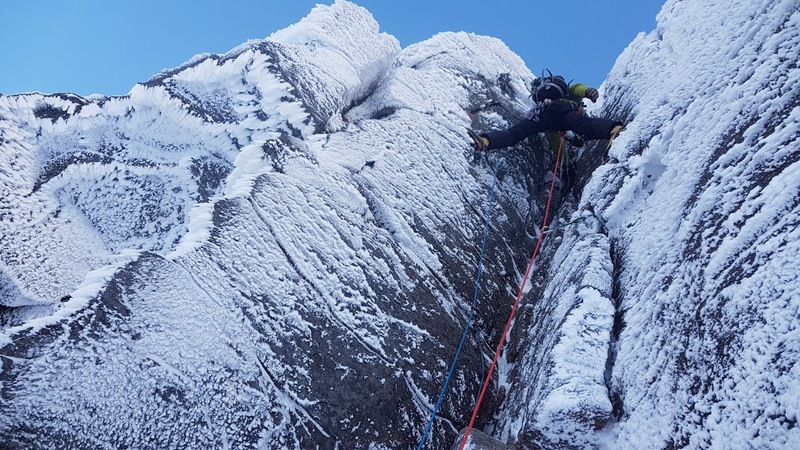 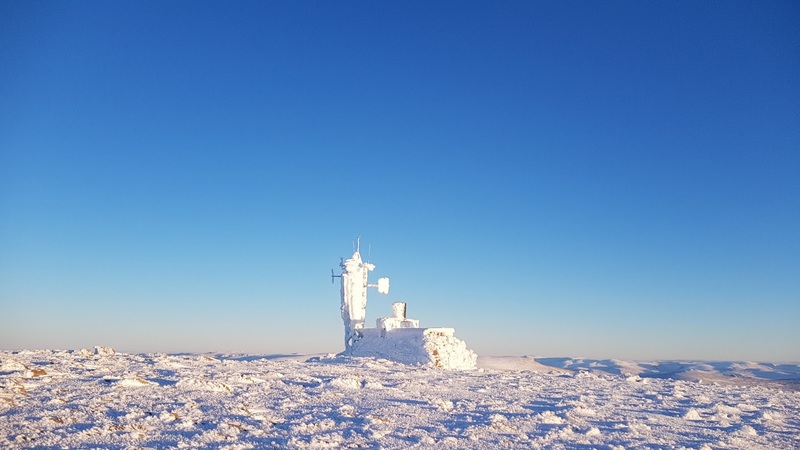 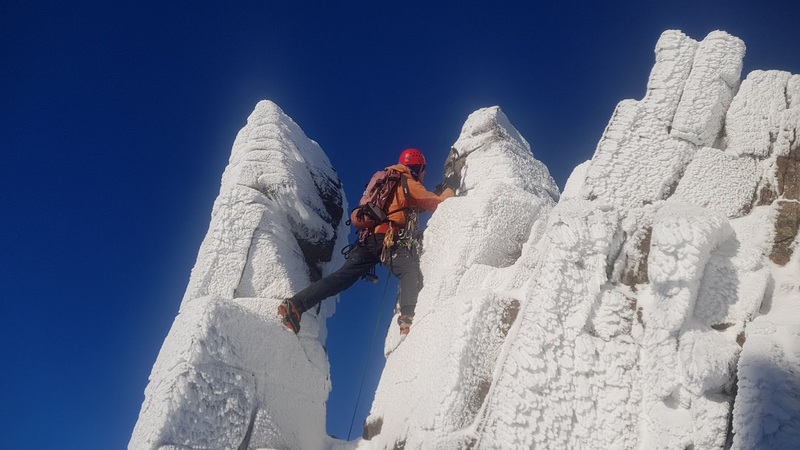 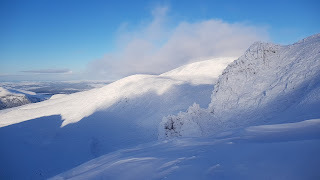 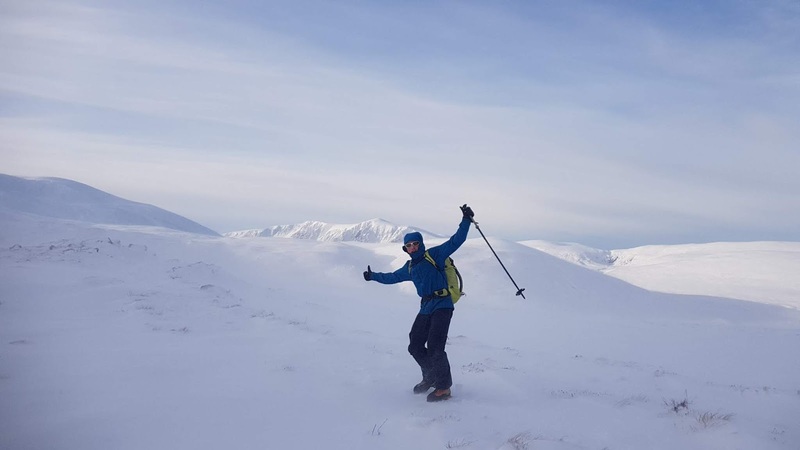 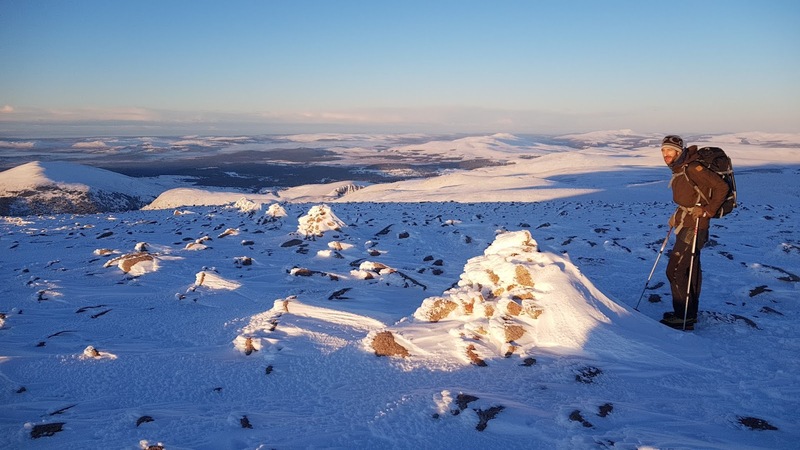 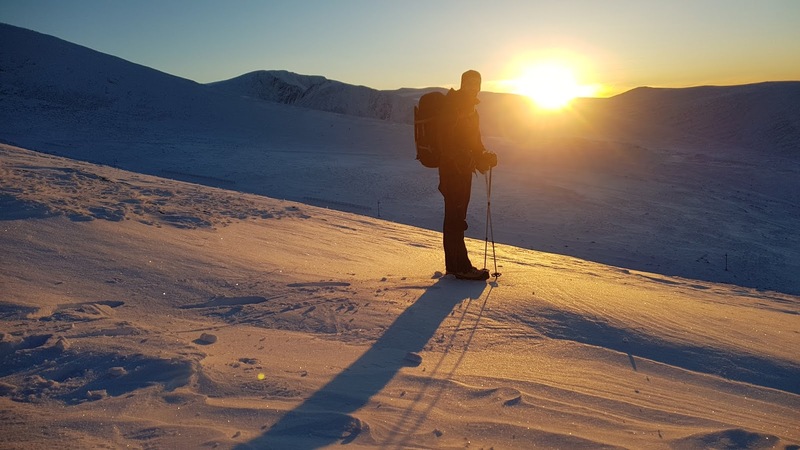 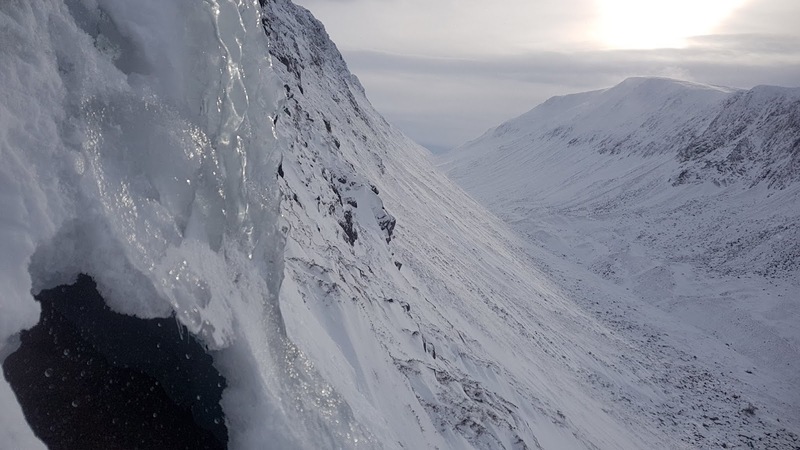 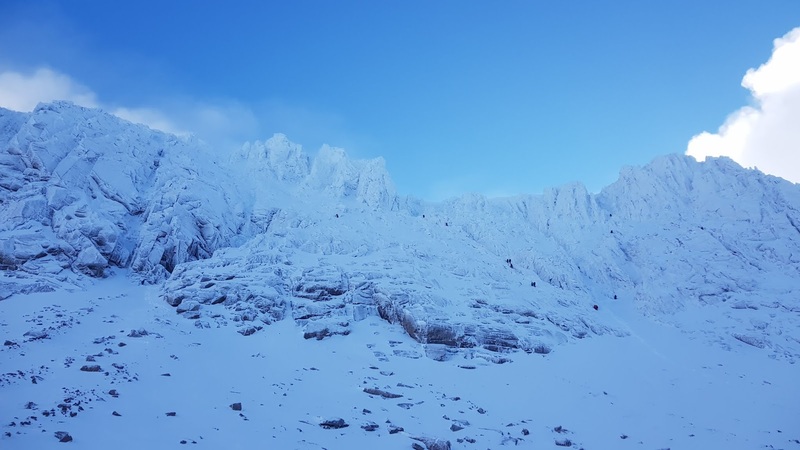 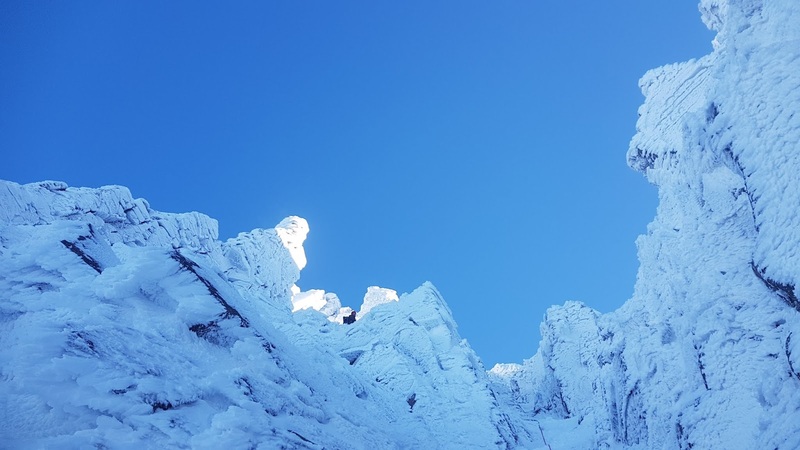 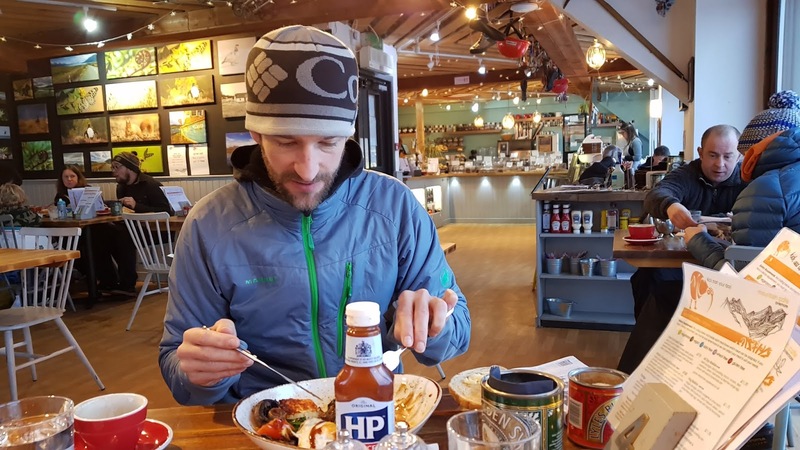 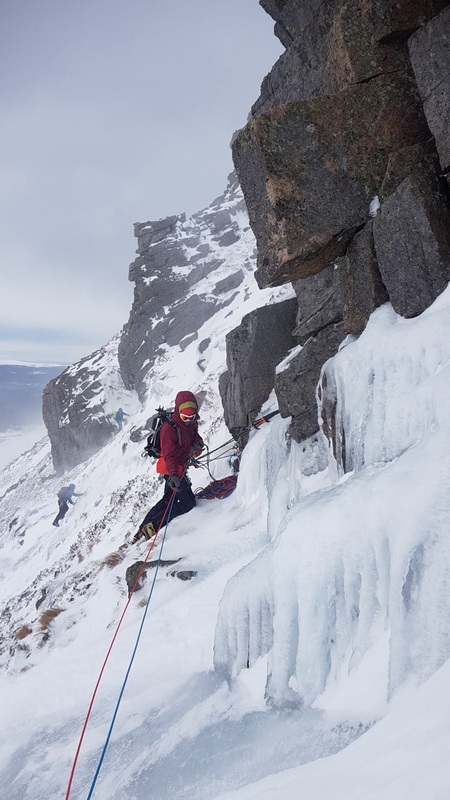 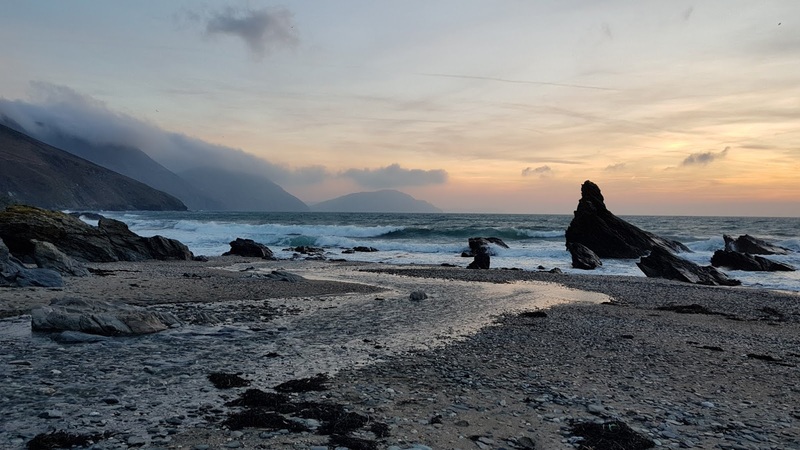 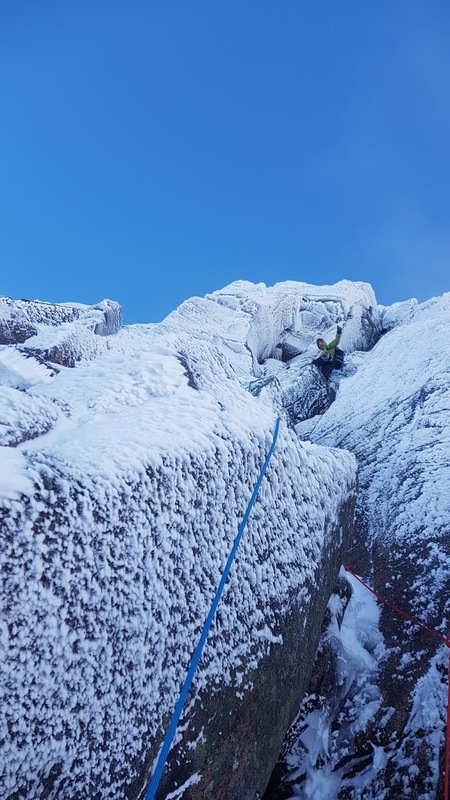 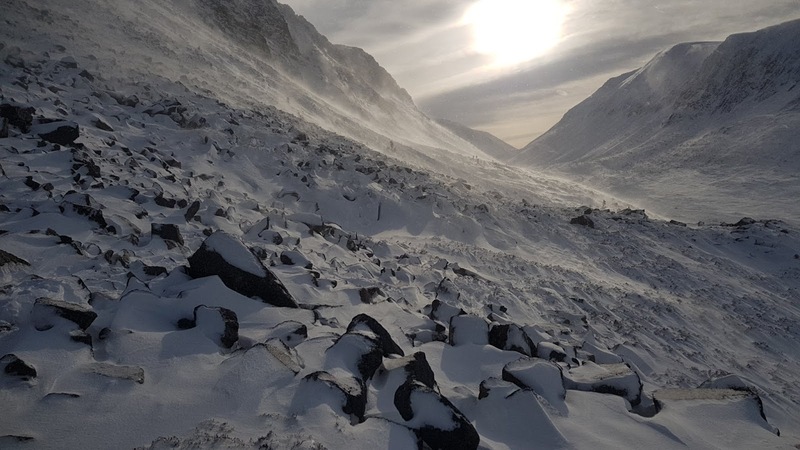 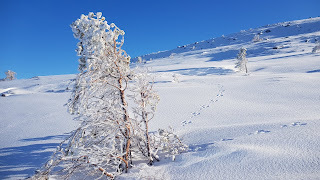 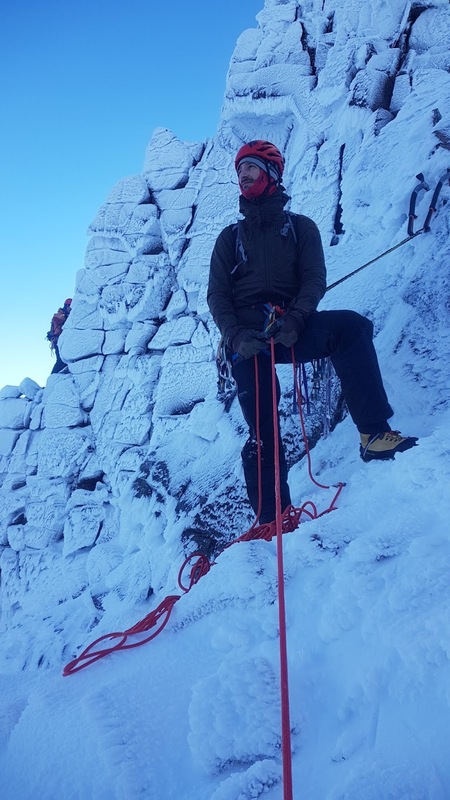 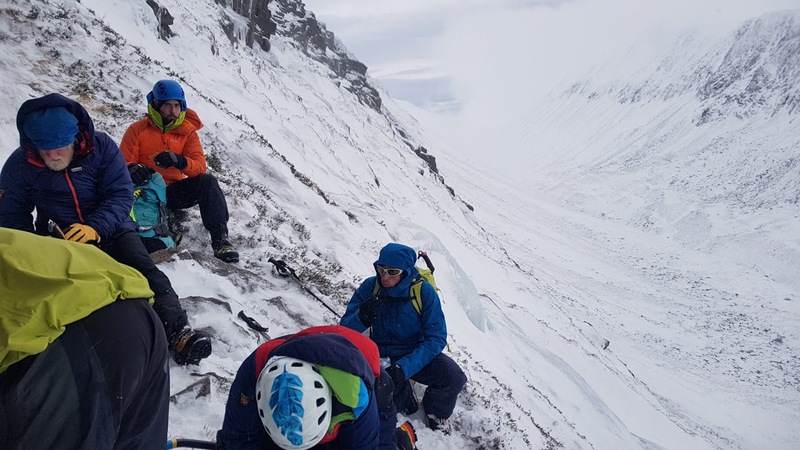 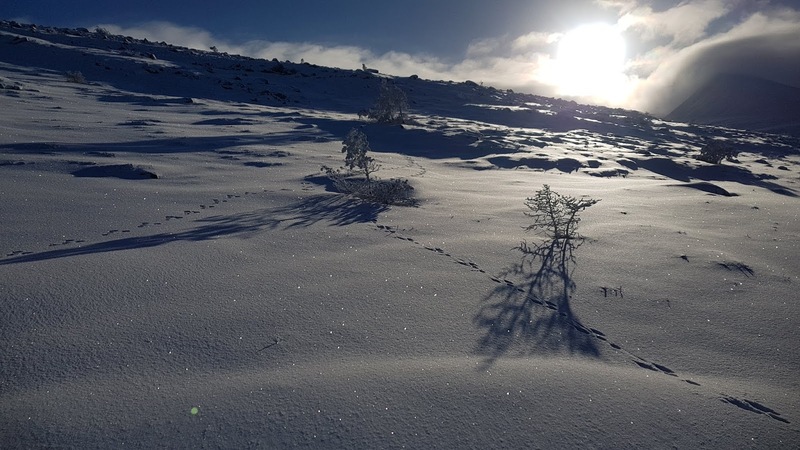 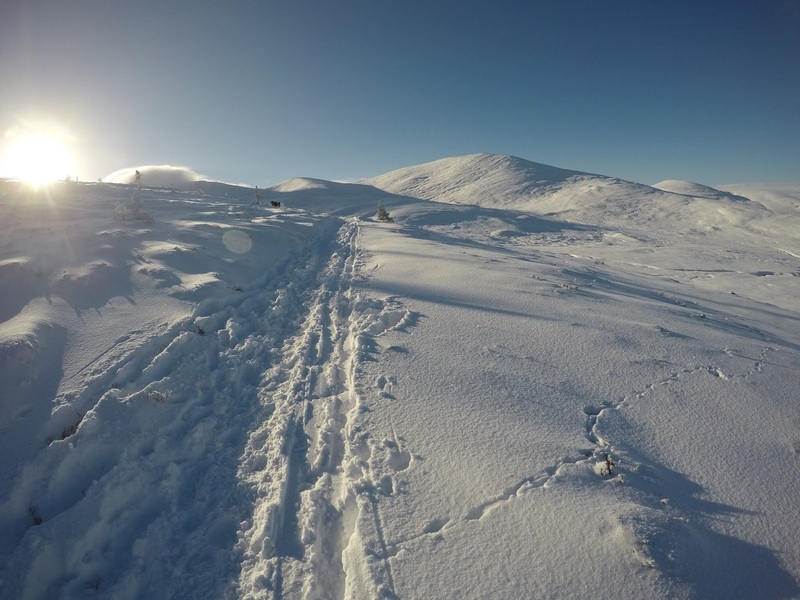 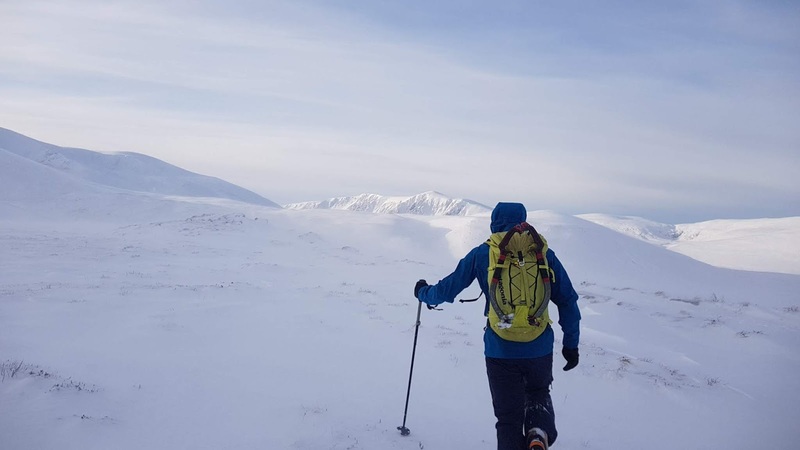 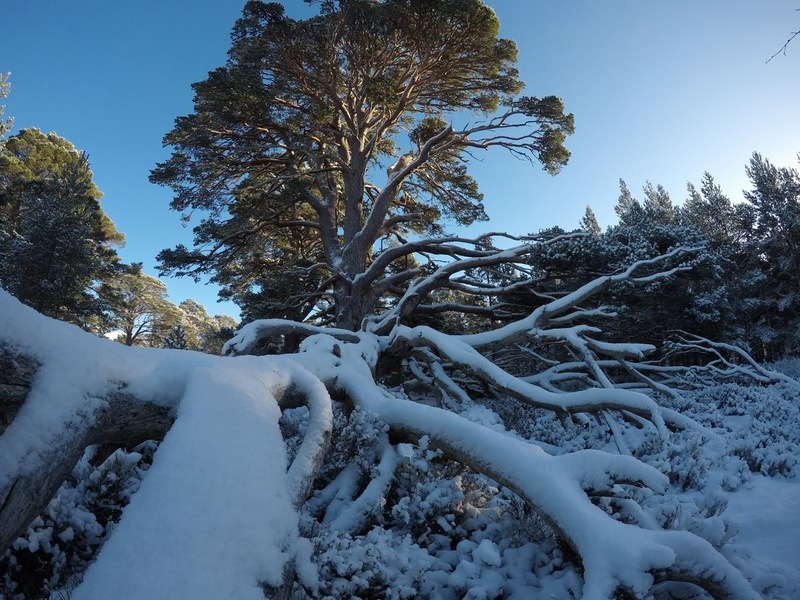 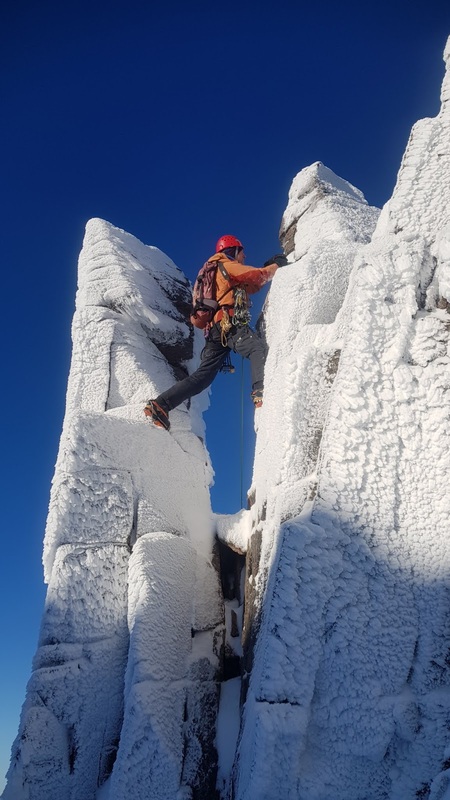 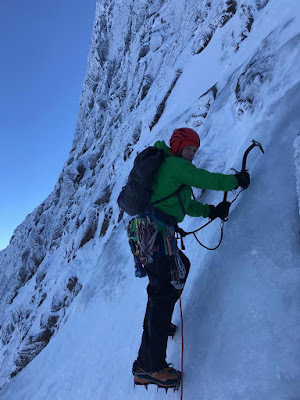 A fine 'mixed' route - mixture of real fear, a few short desperate moves made memorable by thin axe or crampon holds, blue skies, and a walk out under starry skies. 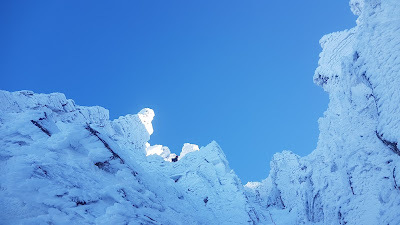 Did a unique variation / compilation of Red Gully, finishing in illuminated rocks, simply stunning. 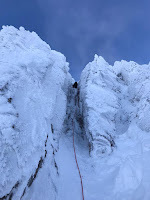 Jonathan Preston and Mikey Byford were climbing Fingers Ridge beside us. 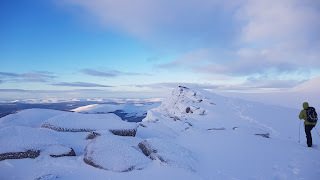 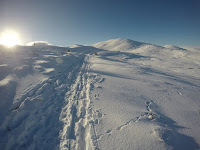 Rounded the day off with a stroll up Cairngorm summit! 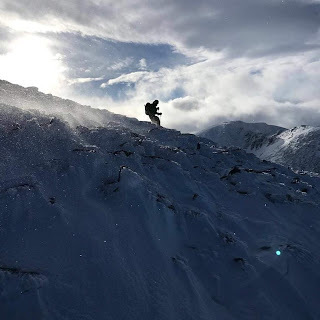 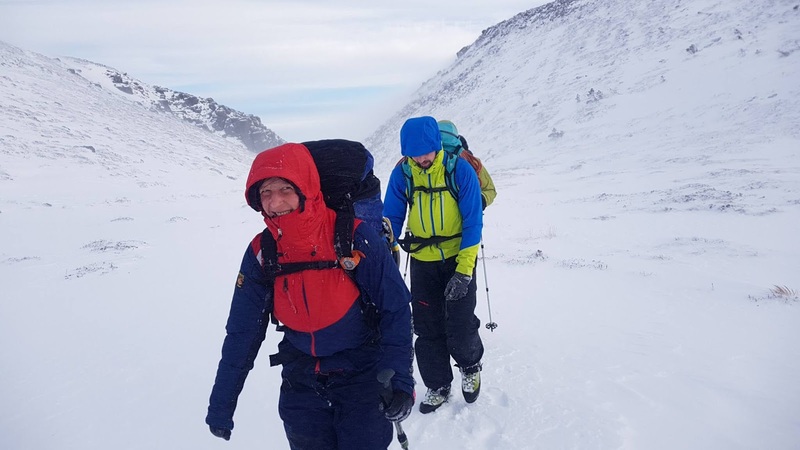 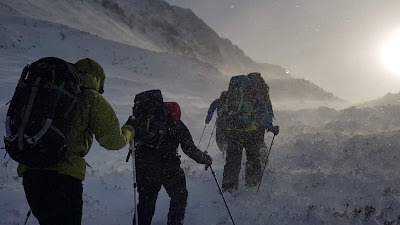 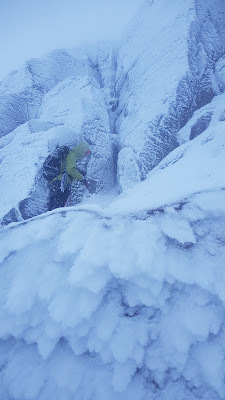 Conditions changed quickly on Friday, snowing well with a bit of wind, ideal visibility for navigation practice... : ) Jim led a pick 'n mix line up Mess of Pottage - 'Haston Line', 'Yukon Jack', finishing up 'The Slant' before topping out and getting out! 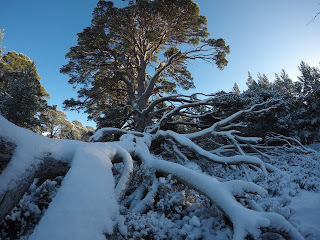 Contrast to yesterday's experience & pics. 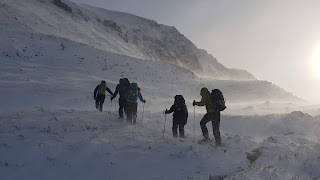 Adventures and abstract in Saturday's contrasting conditions. 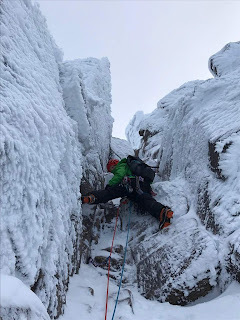 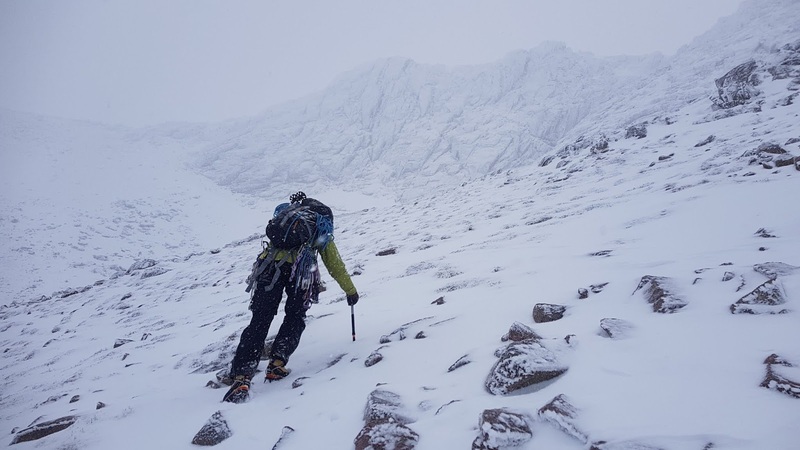 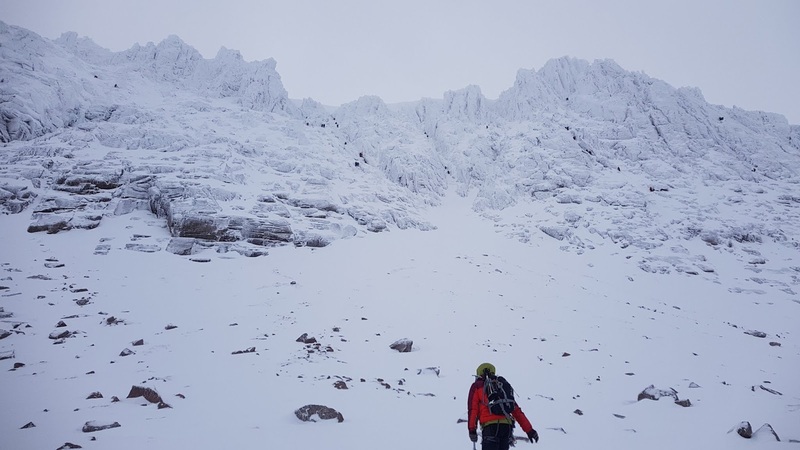 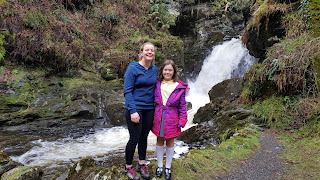 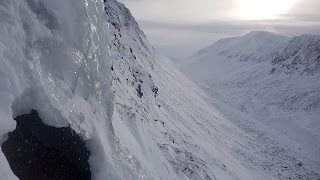 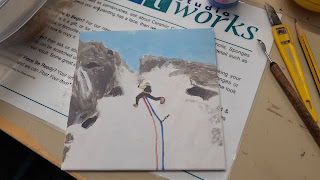 We had a relaxed start with a hot walk in and instant chill down in the corries, teams queing up on routes so chose a quick moving route up 'The Runnel' (soloing to the last section) with an enjoyable lead to finish. 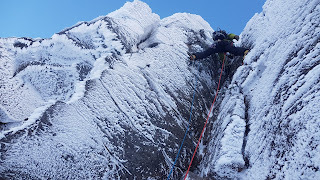 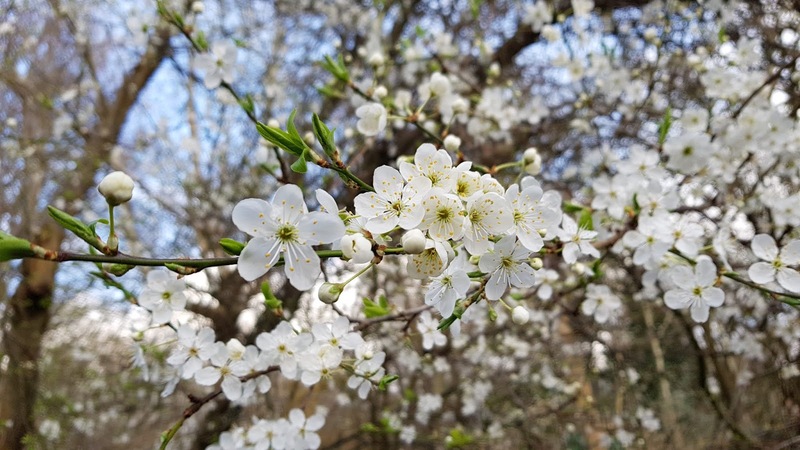 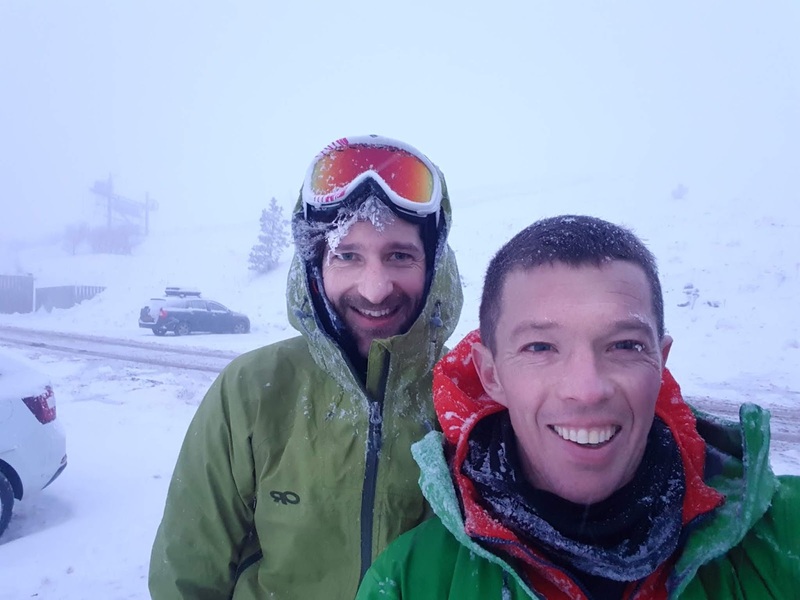 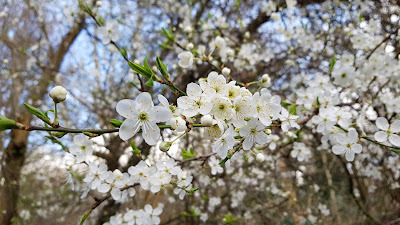 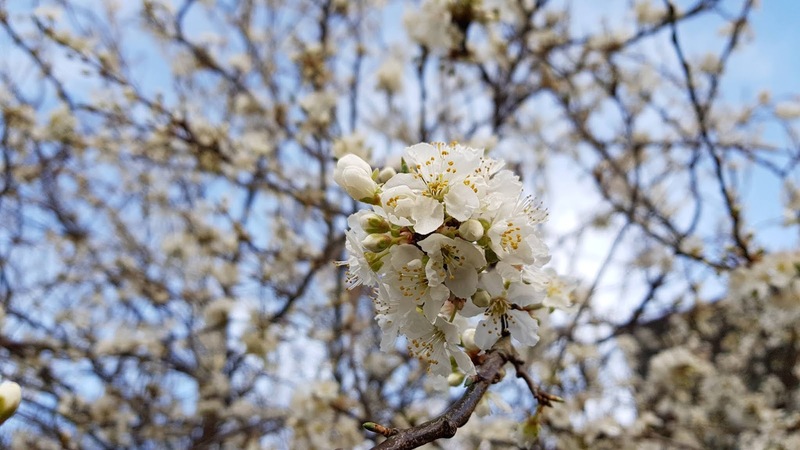 for a few days, climbing conditions should improve over the next week!